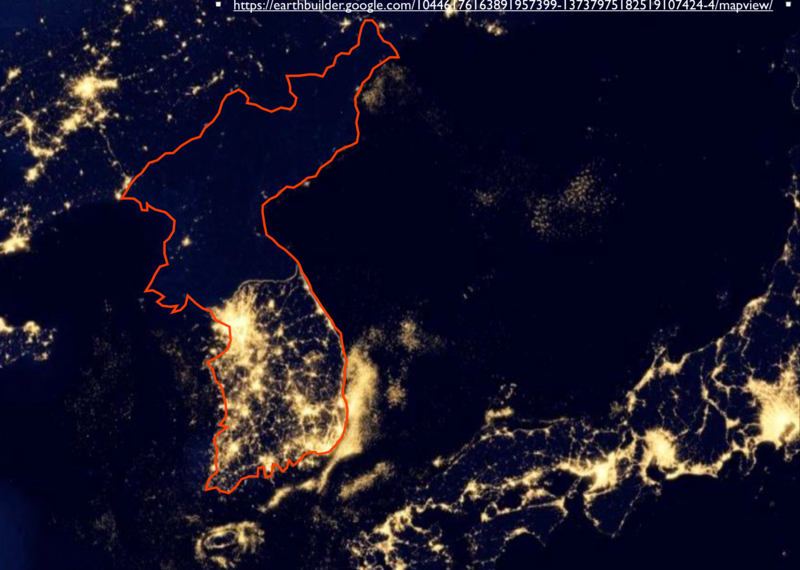 But North Korea is hardly the world’s only area of minimal lighting. 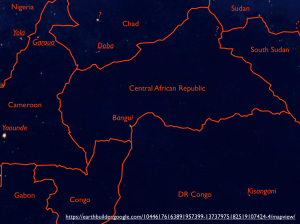 As can be seen in the second image, much of Central Africa is darker. In Central African Republic, the capital city, Bangui, is essentially the only illuminated area, and even it is unimpressive. I have not been able to identify a much smaller lighted area located in the virtually unpopulated northeast; it is not situated in the right place to be Birao, the regional center (population 10,000), which was “almost completely burnt down in the fighting between rebels and government troops in the area” in 2007. 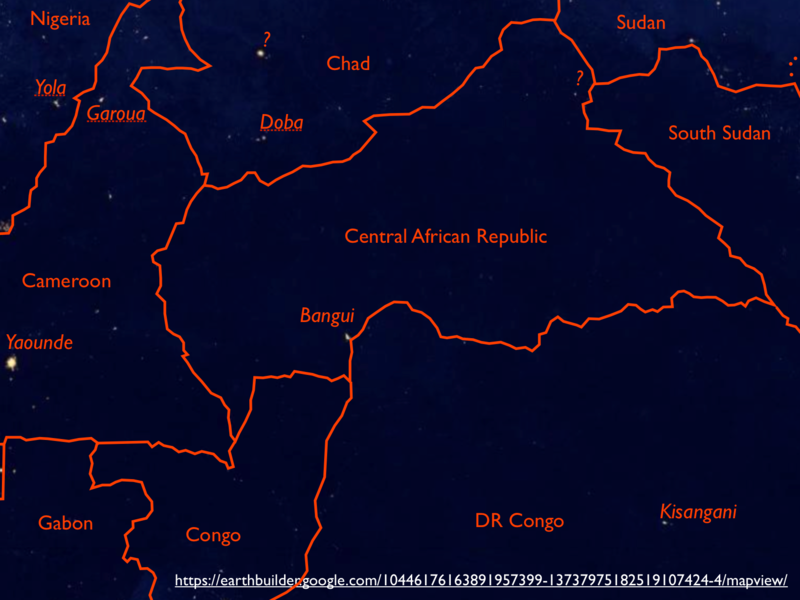 The northern portion of the Democratic Republic of Congo is equally un-illuminated. Kisangani, a major city with almost a million inhabitants, hardly registers. Southern Chad, on the other hand, does have a fairly bright area (labeled with a question mark), but it is not linked to any city or town that I can locate. I assume that the light emitted from this area comes from gas flares associated with oil production. Chad’s oil industry, however, is centered in the town of Doba, a much less significant source of light.